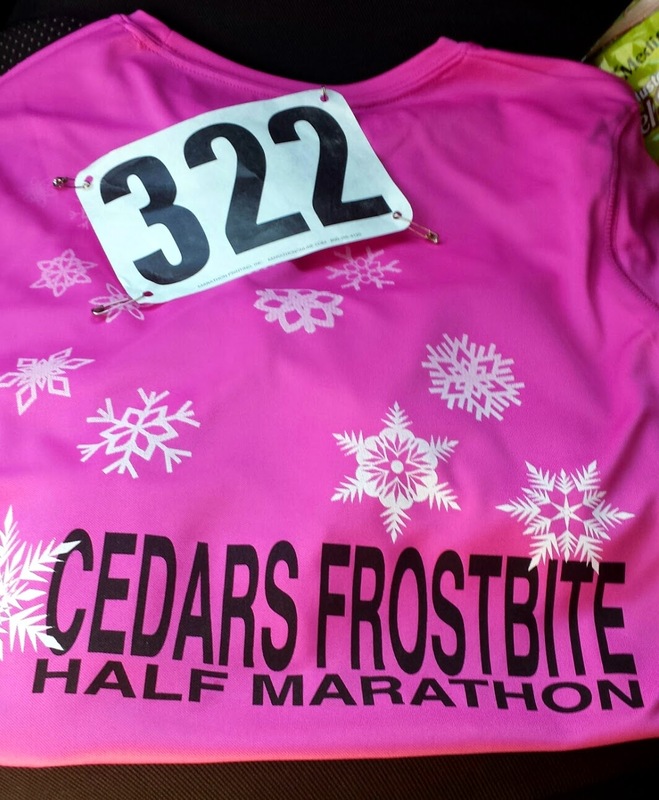 Saturday I ran half marathon #10, the Cedars Frostbite Half, in Lebanon, TN. It was held at the Cedars of Lebanon state park. Absolutely gorgeous place. The race started at 11. I've never done a half that starts that late, but maybe it's so the weather has time to warm up? We had perfect weather, 50's and sunny. Y'all know I've been having knee pain for months, well, I hadn't even reached mile 2, and it was so painful that I was already hobbling/running. I just knew I was going to have to DNF. I kept telling myself to just turn around, I can't make it to 13 miles, why did I even sign up for this, and so on. But then I got mad. No way was I going to quit. I completely changed the way I had been thinking. I started thinking positive thoughts, and started doing a lot of praying. I started thinking about my new tattoo that says Perseverance. Persevere, Katie!! By mile 3 the pain was GONE. I had no more pain the rest of the race, and haven't had any since then! God is so good to me. The course was very challenging. Lots of hills, trails, gravel roads with huge potholes, boulders, dirt roads, etc. I would say out of all my half's, this was probably the most difficult. This was also my slowest half. For most of the race I didn't even look behind me because I just knew I was last. That was not a good feeling. I decided not to feel bad about it though, at least I was out there doing it. That's all that really matters. I have NO doubt I will get back to where I used to be, and be even better. I ended up not being last, but I was close to it! So my last sip of water was at mile 9, and it was sunny and very warm. I felt dehydrated and was getting woozy. I was glad to see the end of this race! They did have pizza and cookies afterwards, which I wanted neither of. I can never eat right after a race. I guzzled a whole bottle of water and some diet coke though! Around mile 11 I started walking next to a girl who looked about 15 years old. I asked her how she was doing. She told me her legs were in terrible pain, and she started crying! I felt so bad for her. How crazy insane is that?? 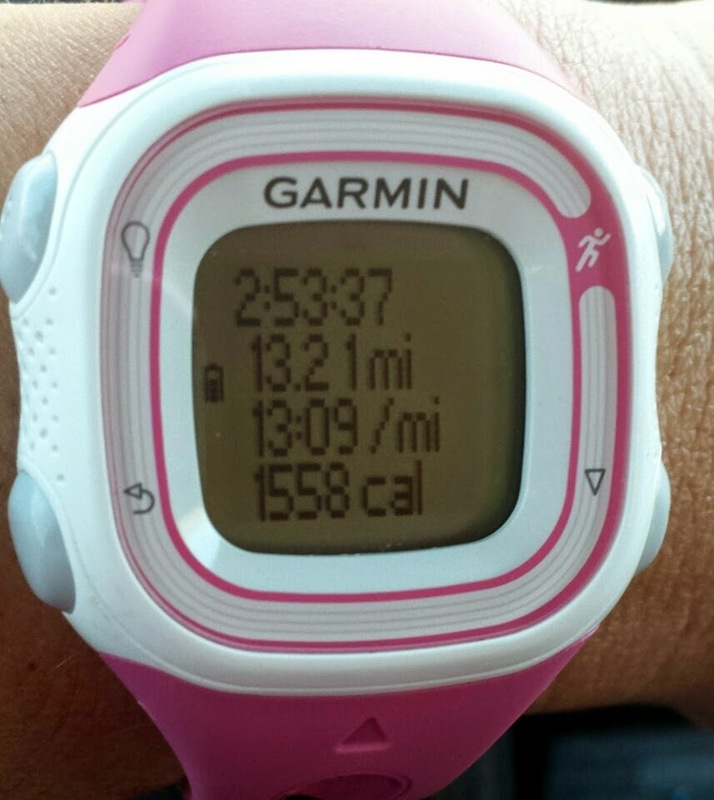 What kind of Mother would force her daughter to run 13.1 miles, knowing she had never trained for that?? Oh my gosh, that made me mad. So, the thought of this got me through the last few miles. 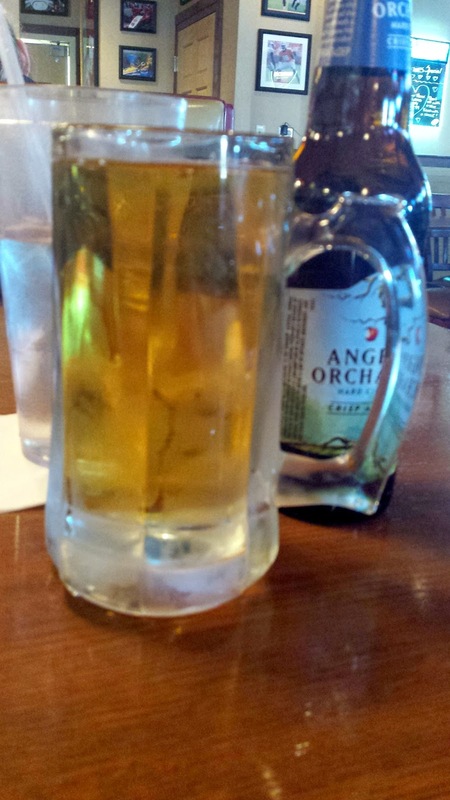 An ice cold Angry Orchard was all I wanted. Since I don't know anyone here (yet), I knew I would have to drink alone, but this 'break' for me is all about stepping out of my comfort zone and doing things that scare me. So for the first time, I went to Applebee's, ate some yummy food and drink, and had a fabulous time all by myself. And it wasn't nearly as bad as I thought it would be. On the way back to my room, it hit me, "there was no medal!!" Not sure why it took me so long to realize that. That's really disappointing, but I guess it's why the race was only $20. I did get a cute, long sleeve tech shirt though. Of course I'd rather have a medal, but oh well. I learned a lot about myself in this race. The main thing is that I can change a lot by having a positive attitude. I need to look at the bright side, stay optimistic, expect the best and don't let go of my faith and hope. That will give you the strength to not give up when you face obstacles and hardships. Have you ran a race with no medal? Would you (or do you) go out to eat alone? i am sorry about your knee pain at the start, but yay that it disappeared! thats amazing. i never bring water to races either, i just expect there to be plenty for me lol. funny the race started so late, even in winter i feel like races start super early? but anyway, who cares about your slowest time - you're right - you still did it! you're awesome - congrats girl! Hey you finished, you didn't give up! Good for you! I agree about this poor girl. What kind of mother would force her daughter into doing a half with no training! Oh my goodness I have so much to say! I can't believe a mother would sign her daughter up for that distance without any training!! That's practically child abuse. And then to leave her to "run" it alone. So sad. My worst half ever was also one where it was warmer than expected and I didn't carry my own water. It was miserable and made it hard to hold any kind of pace at all. That cider looks so delicious!! I can totally eat on my own. When I first moved to Utah I bartended in a restaurant and had a LOT of singles in there. Single people who were traveling. Sitting at the bar made them feel better about being there alone and often they'd end up chatting with neighbors. I can TOTALLY go and eat alone. But the first time is always the hardest I think! No medal for a half? That bites!!! That poor young girl. I can't believe a mom would even allow her to do that when a 5k is her max race.. wow... hopefully you gave her some joy in the race. Wow! I'm sorry this was so challenging for you but SO glad you didn't end up with a DNF! AND it's great that your knee started cooperating too. I'll have it happen sometimes where I have a pain show up and then just randomly disappear after a few minutes, so I always give myself to the next half-mile mark before walking, just in case ;) Oh and that girl? Poor thing. I would have had a hard time keeping quiet if I saw her mom too! Anyway, good for you! That poor girl. I would probably not be able to keep my mouth shut around the mother either. WHY would you force your kid to do something!? The poor thing. I am glad you were able to finish! Good job! I have NO idea! It makes no sense AT ALL. I actually wish her mom had been with her, cause I'd love to know her answer to that! Thank you so much Amy! 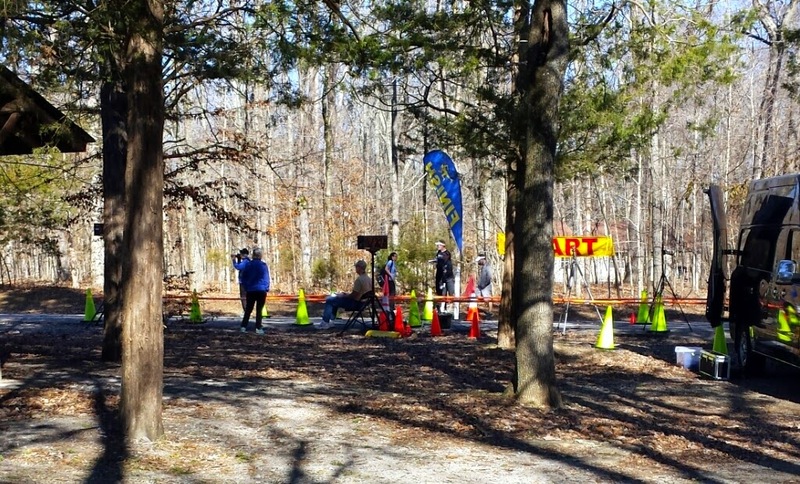 Great job on your race, it does look like a beautiful course! I have to say I am a little ticked off at the mom. It's one thing to enter your kid in a fun run or 5k without training but a half marathon that is just mean and bad parenting! When I first started running marathons, that was pretty much the only distance you got medals in, and even then not all of them had them. I have run a dozen halfs and never got a medal, in fact it wasn't until I got into blogging that I realized some halfs do offer medals:) I know, guess I was out of the loop. But great job on your half! I am glad your pain went away. Sometimes pains we get aren't real pains just things that I like to call adjustments that go away as we get warmed up more something. Don't know why we get them, but I find if we listen to our bodies there is a difference between a "bad" pain and a "normal" pain and it just takes experience to know which are okay to run through. Sounds like you know your body pretty good to tell, and didn't have to let it stop you from your finish! Great job girl! That's amazing that you were able to change your attitude like that and see the physical benefits from it! That race sounds pretty killer - so proud of you for persevering! I can't believe that mom let her daughter do the half knowing she wasn't anywhere close to being ready for it! That makes me so sad for that girl. I have ran races without medals and I actually prefer a great tech shirt to a medal any day. The shirt I will wear over and over, while the medal just hangs somewhere collecting dust. I eat out and go to movies alone all of the time. It was hard the first few times, but now I love to do it. I especially love to go to movies by myself. I don't have to worry about whether or not the other person will like the movie, which allows me to really enjoy it. My husband also goes to movies alone that he knows I don't have an interest in seeing. It works great for us. When I go somewhere to eat by myself I always make sure I have a book. I enjoy a meal out with a good book and it keeps me from getting bored. I've never been to a movie by myself. That'll be next! I brought along my Galaxy tablet when I went out to eat, that did keep me from getting bored too. I'll definitely do it again! I would love to run a race that didn't start till 11 am! Even though you say it's your slowest race, you still finished. That's the thing with these small-ish races, they make you feel bad if you don't come in around a certain time. If you were running a bigger race your time would be around the middle of the pack and you wouldn't even have to worry about being the last one to finish. You got a cute shirt! Yea, I can't believe that girl ran without training! Yes, the smaller races have a way of doing that! If this had been a huge race, I would've been right in the middle. Oh well! I do love the shirt too! I have traveled to a lot of races by myself so have eaten meals out alone quite a few times and I don't mind. 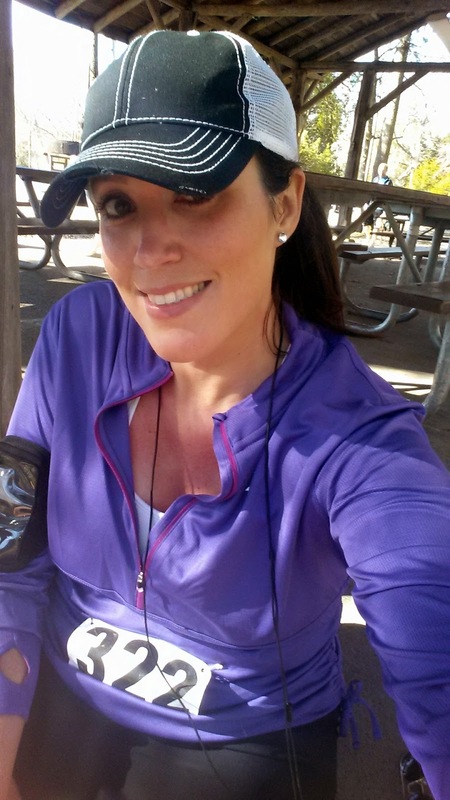 In 2013 I went to Mackinac Island to run a race on my birthday and stayed there a couple extra days and twice while there I was totally ignored by waitresses at restaurants and once the hostess pretty much ignored me after she asked me if I was meeting someone already there or waiting for someone else to arrive and I said I was alone. I actually prefer to be alone the night before a marathon or half marathon. I can be a bundle of nerves and I like the quiet and want to get my stuff ready to go and don't want anyone to touch it. Afterward I can go back to my room and collapse on the bed or shower first and then collapse on the bed and not have to talk to anyone. After a while, I'm ready to go back to civilization! I'm not totally anti-social, I did go to Key West for a half with a friend and had a great time but that might have had something to do with the fact that we both were preparing for a half marathon the next morning and were both returning from one after the race! Oh, also, I have run a couple of half marathons where there were no medals. One of them was my 3rd half marathon and was on my birthday. I was still quite new to running and it was the first time I ran an event on my birthday so I was really disappointed but I lived! I had forgotten about that. Last year I ran a half in Chicago on my birthday and I was really disappointed that the medal did not have the date on it; I guess I should have remembered that year that I didn't even get a medal! I'm done with weekend birthdays for several years so I guess I won't have to worry about that for a while! I can't believe you got ignored twice!! Did they think you weren't as important because you were alone? That's crazy! It is nice to be alone before a race. I guess it depends on who you're with too. I've been with a non runner once, and that was not a fun time at all. Then other times I'll be staying with friends who are also running it, and we kind of help to calm eachother's nerves! I did get a nice shirt out of it, so that's better than nothing! Congratulations on your half marathon! I would be a little bummed to run 13.1 and not get a medal, but for me it's more about the experience - sounds like a really cool course! Wow, cannot believe that mom ditched her kid during the race!!! I rarely go out to eat by myself. I always feel awkward. Congrats on the run! That's a cool shirt you received for running. That poor child! Hope her mother isn't like that all the time. I don't run but I do have a 16 yoa son who is very active in Cross Country, Track, and 5K runs. I think he's only participated in one race where they did not hand out medals. I think a lot of the fun in it is getting a medal. I brought my Galaxy tablet with me, so I really didn't feel too awkward at all. Getting a medal is kind of like your 'reward' for running 13.1! Thanks Terra!